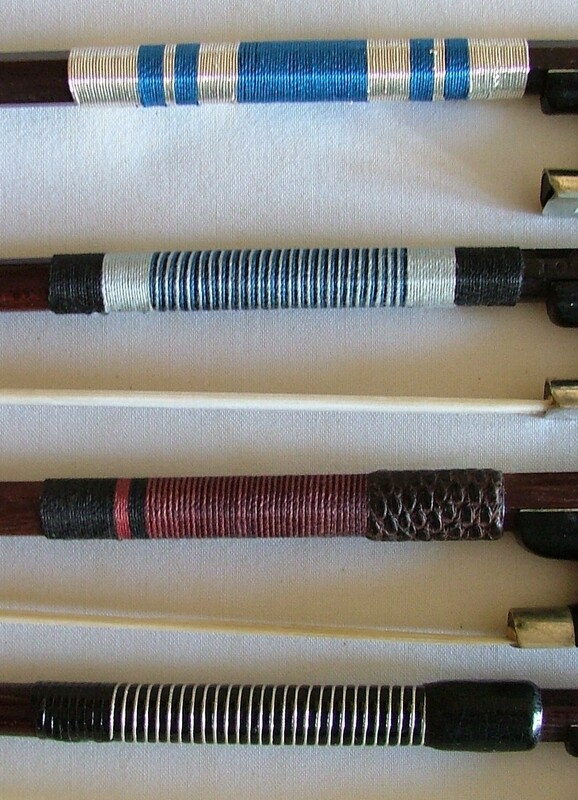 We offer a variety of different windings and leather options. Coloured silk, silver wire, tinsel, faux whalebone and combinations of these. 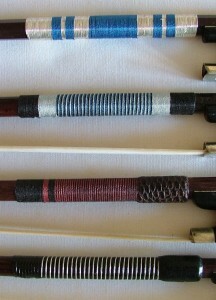 Generally we advise clients best options according to preference, weight and balance of the bow.